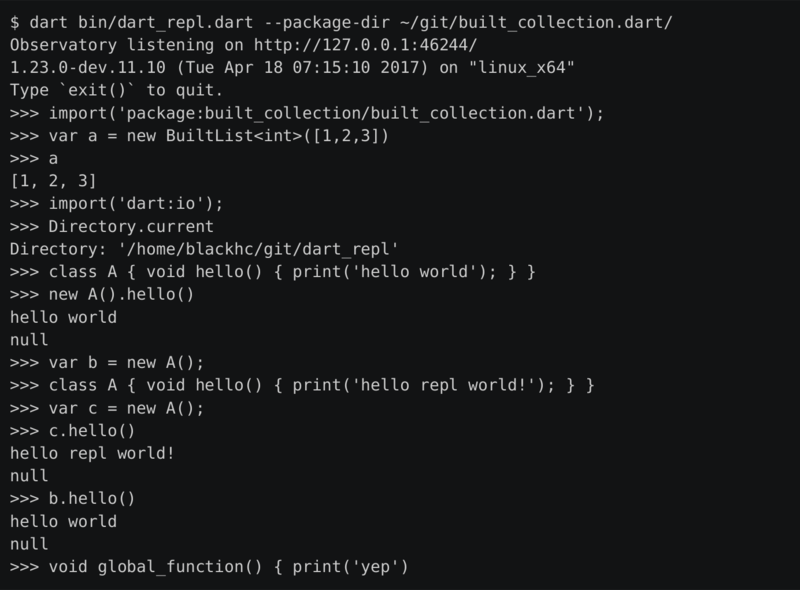 A proof of concept REPL environment for Dart. See the Dart REPL Directions brain-dump for possible ideas and directions. (if your package depends on built_collection). 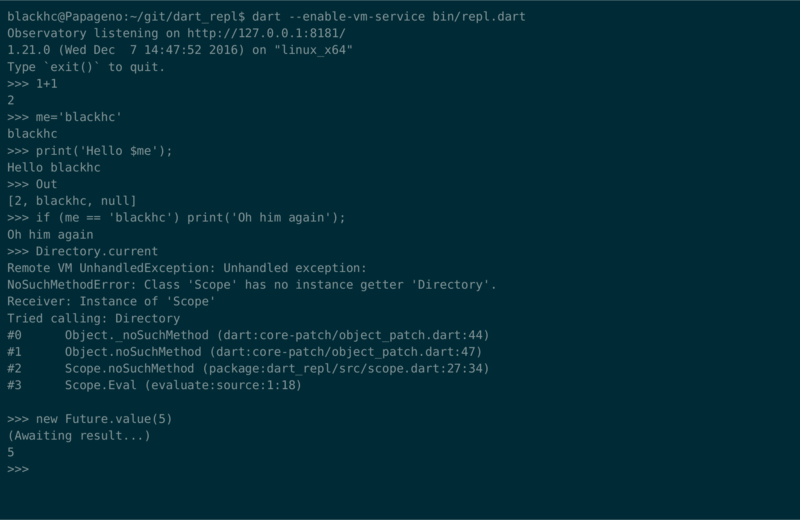 This is the preferred way of running dart_repl as it requires no additional setup. The old behavior (non-shadowed, undeclared variables) is available using the scratch Scope. A solution would be to generate a global scope file that is constantly reloaded. This seems infeasible for more complex inputs and for redefinitions. Because each top-level decl is its own compilation unit, imports only work within the same cell/input. NoSuchMethodError: No top-level getter 'Directory' declared. To make a library available to following cells, you have to use export. A Dart REPL proof of concept inspired by Python's interactive mode.